We will custom build an iOS app for you with your logo and name. It will have only your products listed in Ravox merchant panel and customers can buy your products from the app directly. 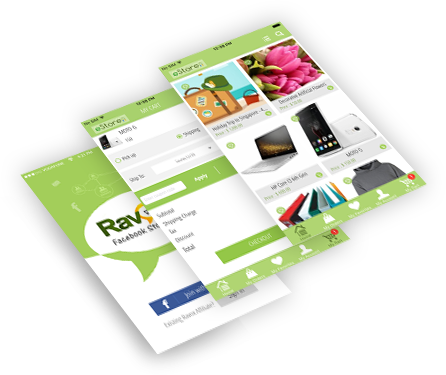 This app is free of cost for all merchants with Ravox Enterprise plan. Others can get the same app for $1500.00 one time payment. Once the app is ready, we will publish it to the Apple iTunes store. To get started please a send mail to sales@ravox.com with the following: your store name, suggested name of the app, logo, your Paypal email, a description of the store to include in the app. At present we have Apple app (iOS) ready. We are working on the Android app and is expected to release by August 2017. It will be provided free of cost to all merchants with iOS app.